After its disastrous coverage of the Resorts World tragedy, Maria Ressa's EQ and IQ are on full display as she desperately does PR damage control for Rappler, her baby project. In January 2017, college sorority blog Rappler libeled Sass Sasot, Presidential Communications Operations Office (PCOO) Secretary Martin Andanar, and me, RJ Nieto a.k.a. ThinkingPinoy. 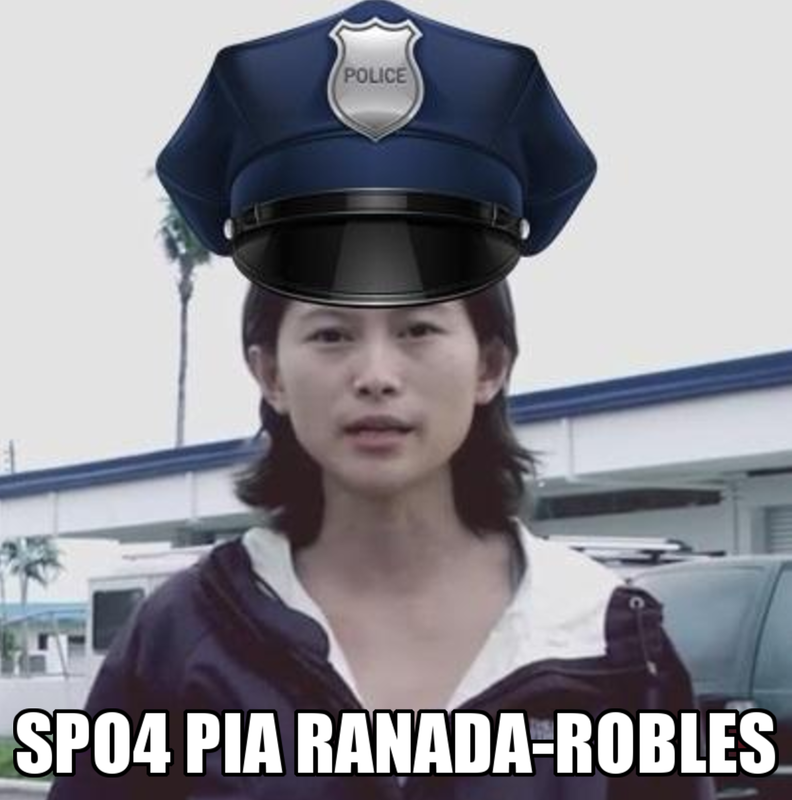 Written by Rapplerettes Chay Hofilena, “SPO4” Pia Ranada-Robles, and Paige whatshername, the article “Inside Martin Andanar’s Mancave” accuses Sasot and I of accepting bribes from Andanar [Rappler]. Knowing full well that the article is nothing but hogwash, I wrote a rebuttal a day later, where I essentially asked why Rappler’s editorial team allowed the publication of an article that cites an anonymous source without even asking for our side, in total contravention to established guidelines in journalistic ethics [TP: Chay’s Delusions]. [The] List of names of the entire PCOO delegation to the Singapore and China trips, including consultants or bloggers who PCOO arranged to join the trips… The list of expenses should include expenses for consultants who rendered services for the PCOO during these trips. They should include exact amounts spent on specific expenses. PCOO approved SPO4’s request fifteen workings days later on 09 February 2017, in accordance with the FoI executive order’s implementing rules and regulations [FoI]. It’s bad enough that Rappler never bothered to wait for the document, but what makes matters worse is that the document, which Ranada-Robles herself requested, showed that NOT A SINGLE CENT OF PUBLIC MONEY WAS PAID TO SASOT AND ME. That is, aside from citing nothing but anonymous source and despite official documents pointing to the contrary, Rappler defamed Andanar, Sasot, and I, with a deliberate and reckless disregard for the truthfulness for their claims. Fake news refers to a spurious story which is seen as damaging to an agency, entity, or person. Now, did you know that Ranada-Robles very conveniently forgot to report the results of her January FoI request? That makes Rappler’s “Inside Martin Andanar’s Mancave” fake news, for the reason that SPO4 insists on peddling its lies despite incontrovertible evidence to the contrary. Four months later, Ranada-Robles and the Rapplerettes still fail to rectify the error. Just last week, I chanced upon Ranada-Robles as she was strolling in Moscow during Pres. Duterte’s Official Visit to Russia, an event that we’re both covering.I approached her and asked, “Hi Pia! Kailan mo ako iinterviewhin? (Hi Pia, when will you interview me?,” to which she replied, “Kailan ka na hindi magiging fake news? (When will you stop being fake news [sic]?)”. 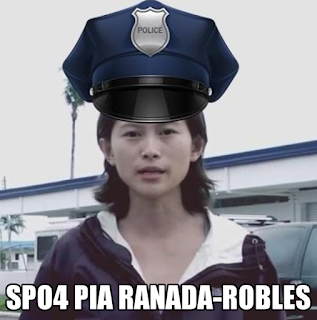 SPO4 Ranada-Robles, Chay Hofileña, and Paige whatshername, seem to have “learned from the best”: Her Royal Highness Maria Ressa, Rappler’s Ultimate Fake News Generator. 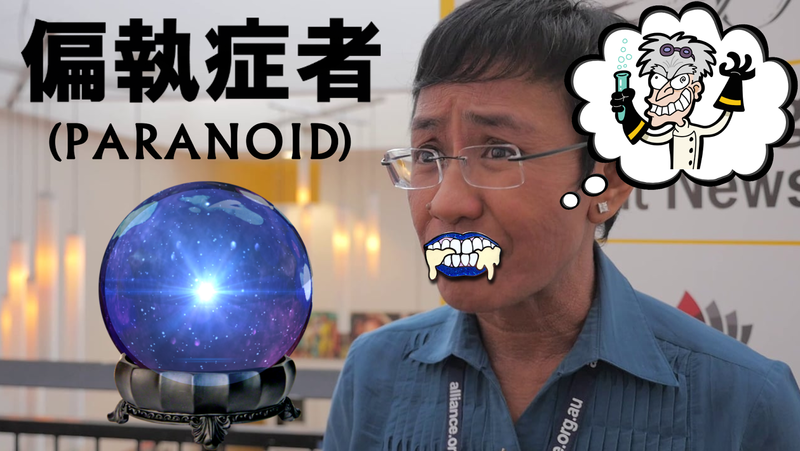 Not content with feloniously leaking classified diplomatic communications, Maria Ressa very recently engaged in fearmongering that is not unlikely to have increased the death toll in the 02 June 2017 attack on Resorts World Manila (RWM), which claimed the lives of 22 RWM guests and RWM 13 employees [CNN], all of whom reportedly died from asphyxiation. At 2:15 a.m. of 02 June 2017, or just a couple of hours from when the attacker started the onslaught, Rappler reported that ISIS claims responsibility for the RWM attack. It’s bad enough that Rappler prematurely released dubious information, but what made it even worse is the article title’s wording. 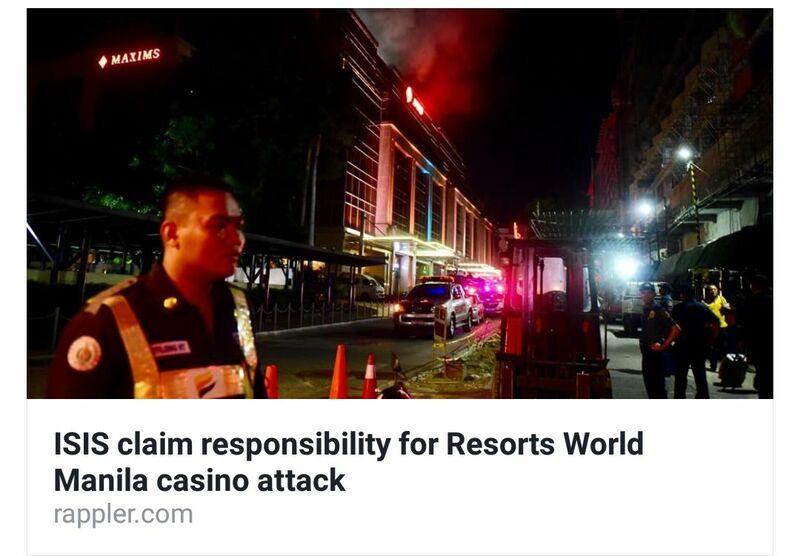 The original title, “ISIS claims responsibility for Resorts World Manila Casino Attack”, failed to reflect the fact that the “ISIS claim” was just an opinion from a person from the other side of the planet. The title made it appear that Rappler itself saw ISIS claim the attack, even if it’s just Rita Katz who said they did [TP]. The article’s title was later changed, rather sneakily, into “ISIS 'Filipino operative' behind Resorts World Manila attack – SITE”. In the article, Rappler cited Agence France Press who cited Rita Katz of SITE Intelligence Group who cited an anonymous "Marawi Contact". By virtue of a single anonymous source, despite the information being double hearsay, and despite ISIS’ tendency to claim responsibility for tragedies that they have nothing to do with, Rappler decided that it’s in the public’s best interest to tag the ongoing RWM tragedy as a terrorist attack, despite the risks it entails on those still stranded inside the RWM building. How could Rappler’s sloppy and premature reporting have affected the RWM situation? Well, let’s briefly chronicle the first several events. At 12:07 a.m., the RWM attacker arrived at the premises. He entered the RWM building a few minutes later then fired a few warning shots, which prompted an evacuation and a call for police back up [GMA]. At 1:10 a.m., the first exchange of gunfire occurred [GMA]. At 1:37 a.m., a fire alert was issued [CNN]. At 1:46 a.m., the assailant made his way to the 5th floor, where he forcibly entered a room. He went out once to burn linen along the hallway [GMA]. At 2:15 a.m., Rappler published the abomination “ISIS claims responsibility for Resorts World Manila casino attack”, and it was the first (and only) local news site that reported such. Ok, let me stop right there. RWM was put on lockdown at 2:02 a.m., so it’s impossible for anyone to get out of the building. We have here a lone gunman rampaging through the gigantic RWM building, so it’s safe to say that many in the building were still unaware of the situation. If I were inside RWM, locked-down, and clueless, the logical thing to do would be to whip out my smartphone and check for news on social media. Through news outlets with social media presence, all everyone knew at 2:13 a.m. was that an attack is ongoing. Nobody knew how many attackers there were and where they are. Yes, there have been social media posts insinuating that it’s a terrorist attack, but no major news outlet has confirmed that claim. Everyone in the world wanted to know what’s going on. Then at 2:15, Rappler publishes a “ISIS claims responsibility for Resorts World Manila Casino Attack”. Being the first mainstream news article that “shed more light” onto the issue, the article quickly went viral. As of today, it has been shared over 24,000 times on Facebook alone. Smoke is already spreading inside the building by 2:30 a.m., or almost an hour after the fire alert, as Rappler legitimized rumors of a terrorist attack. How likely is it that some of the 35 chose the latter? 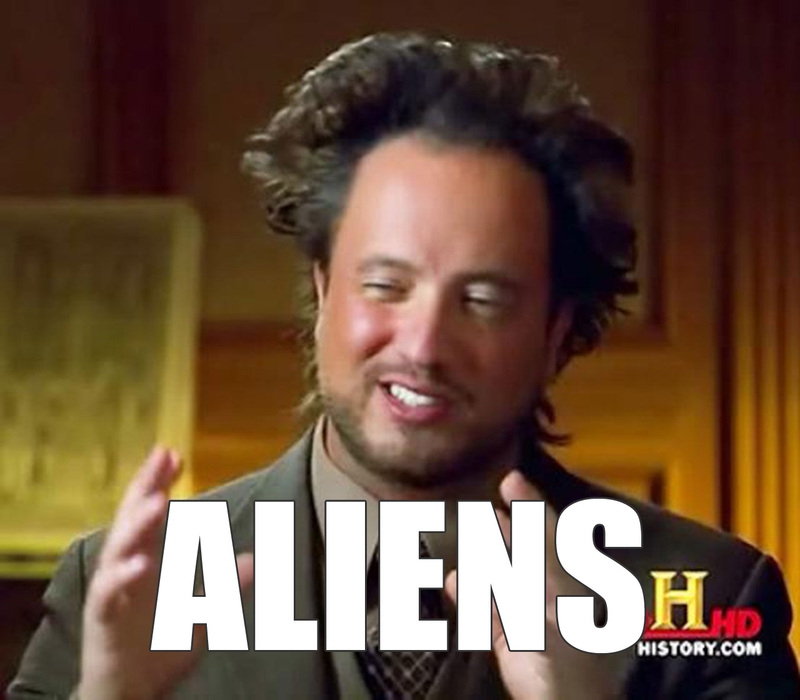 That, we may never know. What’s clear, however, is that Rappler would have served the public better, especially those locked inside the building, some of whom died, if it just chose to shut up. But we all know Rappler, a.k.a. God’s Gift to Journalism, didn’t do so. After receiving so much flak for Rappler’s mind boggling overeagerness, Rappler overlord Maria Ressa went on PR damage control mode with the article “Terrorism and ISIS at Resorts World attack?”, published on 03 June 2017 at 12:44 a.m, or a day after the RWM incident. The extremely lengthy article, basically an appeal to authority, shows Ressa explaining her marvelous and gasp-inducing expertise in reporting about terrorism. The problem, however, is that Ressa’s highly speculative piece banks solely on the gunman’s decision to commit suicide instead of running away with the chips. The police has denied any terrorist angle in the RWM tragedy [CNN]. Not content with being humiliated once yesterday, Ressa felt another damage-control article was in order. At 2:35 p.m. of the same day, Ressa published “Casino targeted with suicide attack because it’s ‘haram’ – ISIS”, where she reported that a certain “Semion Almujaheed”, who claims to belong to ISIS, said in a pro-ISIS chat group that the police is doing a cover-up. Yes, Maria is not even sure about who or what Semion is! I searched for webpages about “Semion Almujaheed” [Star, Google] and I discovered that he was non-existent prior to the 23 May 2017 Marawi Clash. That is, not a single news article mentioned that name, until it magically popped up in that purportedly pro-ISIS chatroom last week. So Maria Ressa basically believes in the word of people she just met? And assuming that Almujaheed’s updates on Marawi is accurate, isn’t it possible that Almujaheed is just some low-level insurgent with a passion for Whatsapp? How does his week-long existence definitively establish his knowledge of what’s going on in Metro Manila, which is almost 1500 kilometers away from Marawi City? Rappler’s quality control standards for its sources appear to be as low as its quality standards for its employees. Let me cut this long story short: Maria Ressa barely knows who Almujaheed is, yet she trusts his word more than common sense, let alone official sources. Brilliant! But this gets more comedic. In the same article, Ressa said Almujaheed gave the attacker his first public identity: “Abu Khair al Luzonee” or Khair from Luzon, perhaps a signal that the Mindanao-based group has now attracted members in Luzon. Again, Maria is engaging in speculation. Where does she get her articles? From a crystal ball? 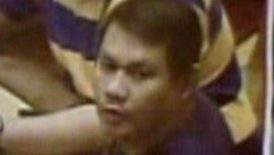 Obviously, that is not the attacker’s real name, as it has been established that the attacker is Jessie Carlos, a former government employee with serious money problems and a more serious gambling addiction [CNN]. The attacker’s parents even successfully identified the body and said it was that of their son [CNN]. Jessie Carlos doesnt look "khair" to me. But let’s entertain Ressa’s fantasies for few moments. Again, the name is “Abu Khair al Luzonee” which Ressa translated to “Khair from Luzon”. But Khair is a Quranic name that means “noble, admirable and praiseworthy.” So how can someone with serious money problems brought about by his addiction to gambling – which is “haram (forbidden)” in Islam – be in any way “noble, admirable and praiseworthy”? It seems Ressa was stupid enough to get hoodwinked. But wait, there’s more! At 12:01 p.m., Rappler itself reported the name of the suspect (Jessie Carlos), this article was published a full two-and-a-half hours BEFORE Ressa reported that “Khair from Luzon”! Didn’t anyone from Rappler’s editorial tell Ressa that they already know it’s Jessie, or was Ressa already foaming so much in the mouth that nobody dared go near her? Ah, Maria Ressa. You may have had an Ivy League education, but it doesn’t show. My friends, Rappler has officially cemented its reputation as a fake news site, and Maria Ressa and her Rapperettes as fake journalists.